Palmolive Ultra Soft Touch Almond Milk Blueberry Scent dish liquid is infused with nurturing ingredients to keep hands touchably soft while still providing tough-on-grease action. 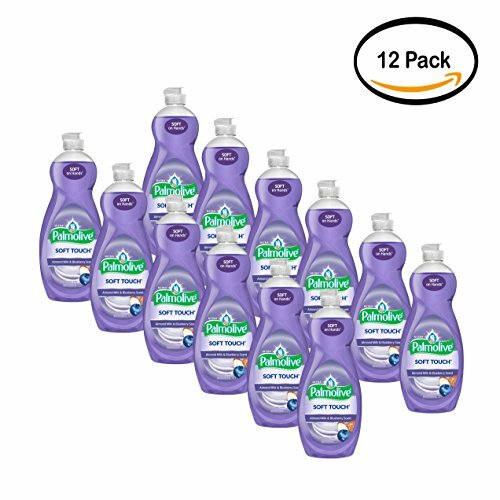 Formulated with Almond Milk and a delightful blueberry scent, Palmolive Ultra Soft Touch provides a cleaning that is soft on hands while leaving your dishes sparkling clean. Palmolive Soft Touch Dish Soap Almond Milk & Blueberry Scent.